BMW had unveiled the all-new S 1000 RR at EICMA last year. BMW Motorrad India has confirmed it will be launching the 2019 S 1000 RR here. The 2019 model gets an all-new design, frame and new 210PS motor. Expected to launch by May 2019 with a price tag of around Rs 20.5 lakh (ex-showroom). BMW Motorrad India through its social media channels has confirmed the all-new 2019 S 1000 RR for India. This new litre-class-superbike was unveiled last year at the EICMA motorcycle show. According to sources from dealerships, the 2019 S 1000 RR should replace the current S 1000 RR by mid-2019 and could cost up to Rs 2.5 lakh more. That would put the starting price for the new model at around Rs 20.5 lakh, close to that of the Ducati Panigale V4, which is priced at Rs 20.53 lakh (ex-showroom, India). Some dealerships are accepting a booking amount of Rs 2 lakh for the upcoming bike. While a price hike of Rs 2.5 lakh is substantial, the 2019 S 1000 RR gets massive updates from the current one, enough for it to qualify as a completely new bike. For starters, it gets a completely new bodywork. The design is more symmetrical and compact compared to the bulbous asymmetrical lines of the current bike. To keep the design as tight as possible, the front turn indicators have been relocated to the mirrors while the tail lamp has been integrated into the rear turn indicators. New features include twin LED headlamps and a new 6.5-inch colour TFT instrument console that gets Bluetooth connectivity and navigation like the one on the F 850 GS. The new 999cc motor makes 210 PS at 13,500rpm, which is 8PS more than the current S 1000 RR. While the peak torque of 113Nm remains the same, it now comes 500rpm earlier at 10,500rpm, and thanks to the introduction of ShiftCam tech, 100 Nm of torque is accessible from 5,500 to 14,500 rpm. There are four riding modes on offer: Rain, Road, Dynamic and Race. A six-axis IMU controls dynamic traction control, hill start assist, engine brake control and Shift Assist Pro. The frame is a new Z-type twin-spar aluminium frame that is both slimmer and lighter. To keep weight down the subframe is a trellis unit. Overall, at 197kg, kerb weight is down by 11kg. Like MotoGP bikes, the new S 1000 RR gets a new swingarm that is braced from below. You get an optional Dynamic Damping Control (DDC) that essentially adds electronic damping to the fully-adjustable suspension package. 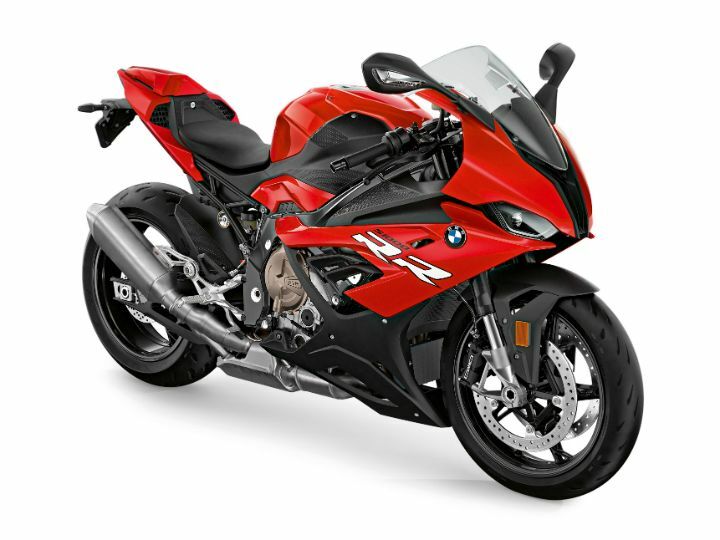 When launched, the BMW S 1000 RR will lock horns with the Ducati Panigale V4 (Rs 20.53 lakh), Honda CBR1000RR (Rs 16.43 lakh), Yamaha R1 (Rs 19.67 lakh) and Kawasaki Ninja ZX-10R (Rs 14.3 lakh). Super i like this bike. Super i like this bike.